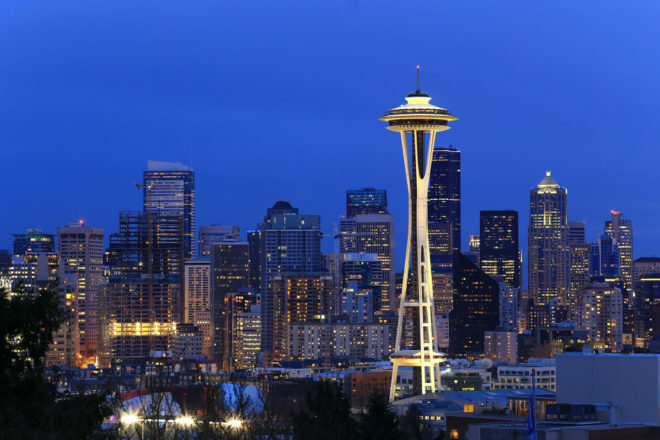 Discover why Seattle in the USA ranked #38 in our countdown of ‘100 Most Incredible Cities in the World’. Coffee, the Space Needle and the weather. Washington’s biggest city is credited as the birthplace of modern cafe culture – Starbucks opened its first outlet here in 1971. Drink where the locals do: Slate Coffee Roasters brew all its coffees by hand; Victrola Coffee Roasters at Pike Place host weekly cuppings; Milstead & Co has earned a reputation that goes beyond its loyal local clientele; Lost Lake Cafe has a funky diner feel and serves coffee 24-hours a day; or take a trip down memory lane to the original Starbucks, which is still at its Pike Place location.